As a dad/daughter creative team in America, we know the importance of safety in schools and other venues such as churches, theaters, and concerts in our daily lives. We are proud to support the March for Our Lives on March 24. 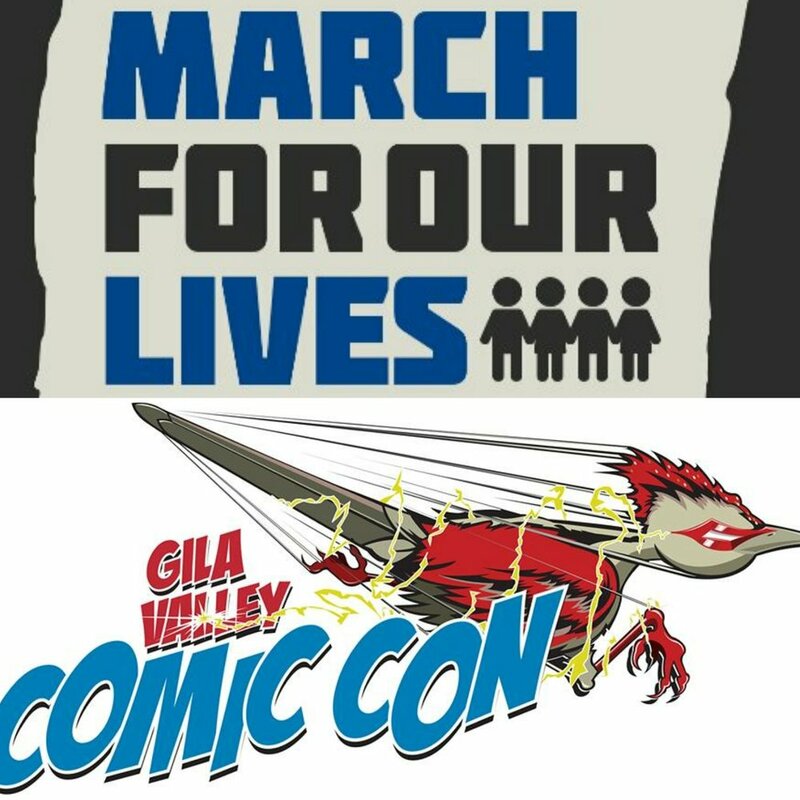 As we will be at Gila Valley Comic-Con on that day and can't march, we will donate $1 to the cause for every book sold that day at the con, on our site, or on Amazon. We hope this small amount helps protesters in seeking food, lodging, and travel accommodations. As a dad, I'm proud of our young active generation. I hope my daughter grows to be just as strong.